NOT FOR THE BLACK MAGIC, BUT FOR THE SPIRIT OF ROCK, FIVE ITALIAN WORKERS OF THE VW FACTORY IN WOLFSBURG, SALVATORE CURTO, GIOVANNI GRANATO, NICOLA CERAVOLO, JOHNNY G. PESCE UND G. PIRAS MET TO PLAY ROCKMUSIC. BLACK SABBATH / LED ZEPPELIN AND CCR-COVERS WERE PART OF THEIR EARLY REPERTOIRE IN 1969, AROUND 1970 THE GROUP STARTED TO WRITE OWN SONGS AND THE SPIRIT OF ORIGINAL BLUES WAS THE BASIS FOR THEIR GUITAR ORIENTATED SONGS. THE GROUP WAS APPRECIATED IN THE HANNOVER AERA AS AN EXCELLENT LIVE ACT AND APPEARED AS SUPPORT ACT FOR NEKTAR, ELOY, AND THE EARLY SCORPIONS. 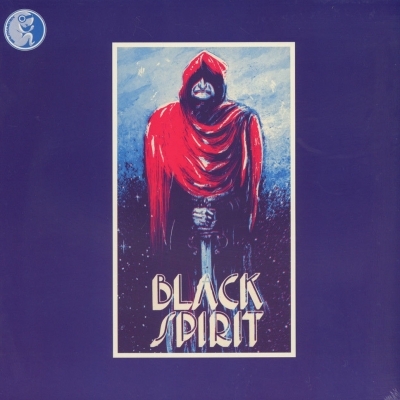 THE BAND STARTED A STUDIO AND MUSIC PLACE IN A LITTLE TOWN IN THE HANNOVER AREA NAMED "BLACK SPIRIT RANCH". THEIR SOLE ALBUM WAS RECORDED THERE ETWEEN 1969-78 AND CAME OUT ONLY AFTER A WHILE ON GERMANY's FAMOUS KRAUT LABEL BRUTKASTEN . THE BAND TOURED FOUR YEARS THROUGH FRANCE, ITALY AND NORWAY BEFORE THEIR SPLIT IN 1978. THEIR RARE AND SOUGHT AFTER SOLE ALBUM, PRESENTS HEAVY GUITAR BASED PROGROCK WITH SOME BLUESY INFLUENCES AND IS NOW REPRESSED ON 180 G VIRGIN BLACK VINYL AND COMES WITH ORIGINAL COVER.